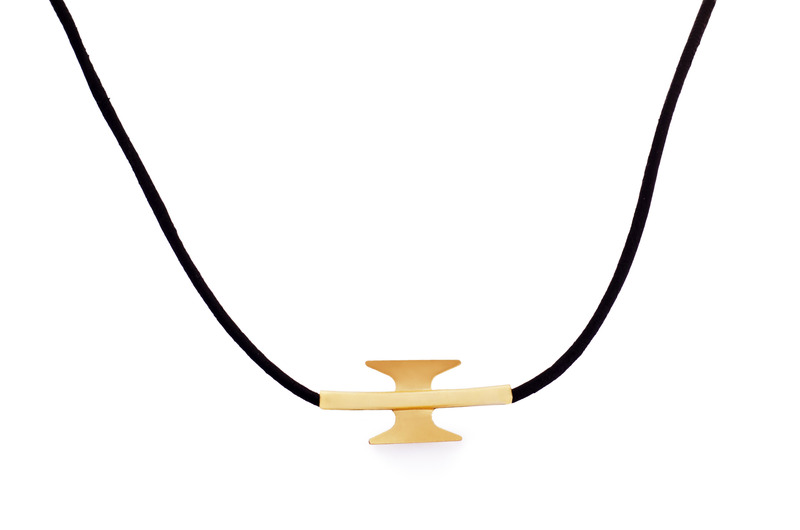 Solidarity simple Necklace - Amarist studio - Welcome Jewelry. 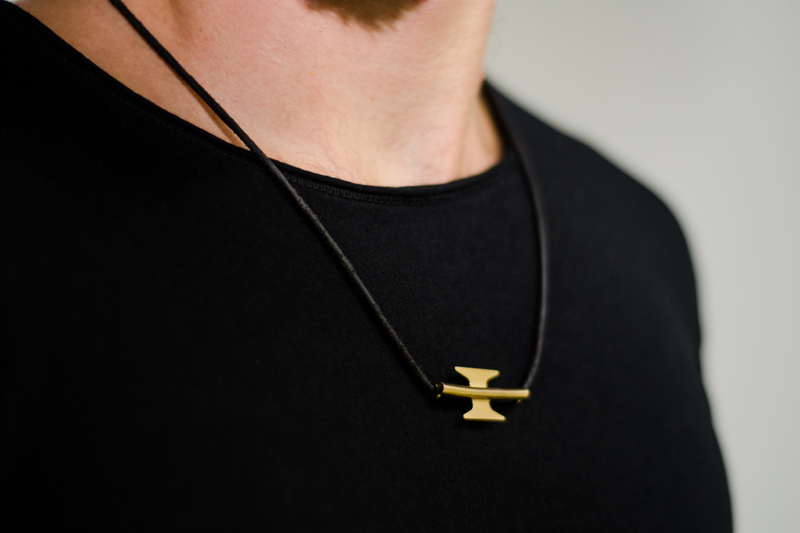 One Spike solidarity necklace made with Razor Wire plated in 24-Karat Gold. All proceeds are donated to UNHCR, the United Nations Refugee Agency. Made with razor wire from border walls. Designed by Amarist Studio and handmade in Barcelona. Deeply touched by the current refugee crisis in Europe, at Amarist Studio we wanted to get involved. 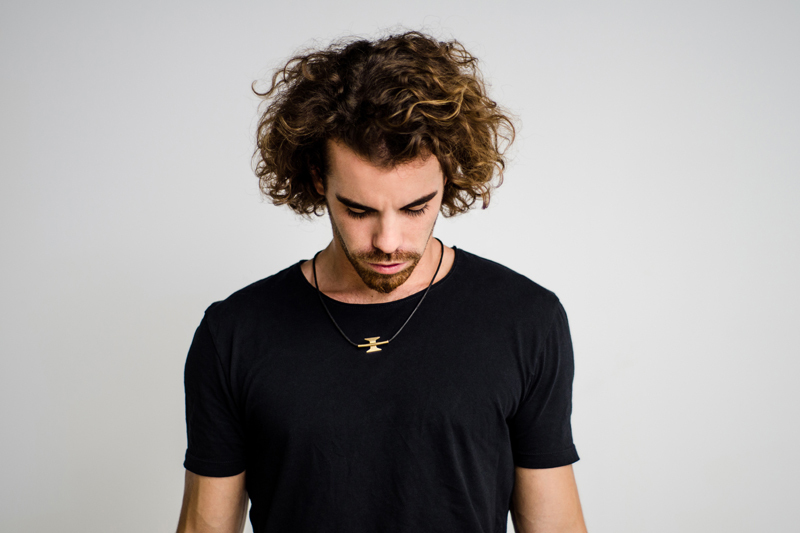 We designed a Jewelry Line to trigger a global social movement to help the refugees. Inspired by the razor wire recently installed along the borders of the South East european countries, we created a universal symbol with its spikes, a symbol of support for the war-displaced people around the world. 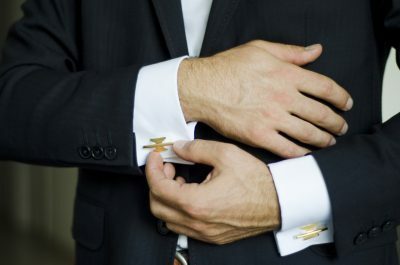 The proposed campaign thus presents thousands of little pieces of the original razor wire used at the border walls, polished, gold plated in 24K and reconverted into pins and pieces of trendy jewelry. In this way the Welcome Movement takes to the public fragments of border in support of each individual who had to leave their home in search of a better future. 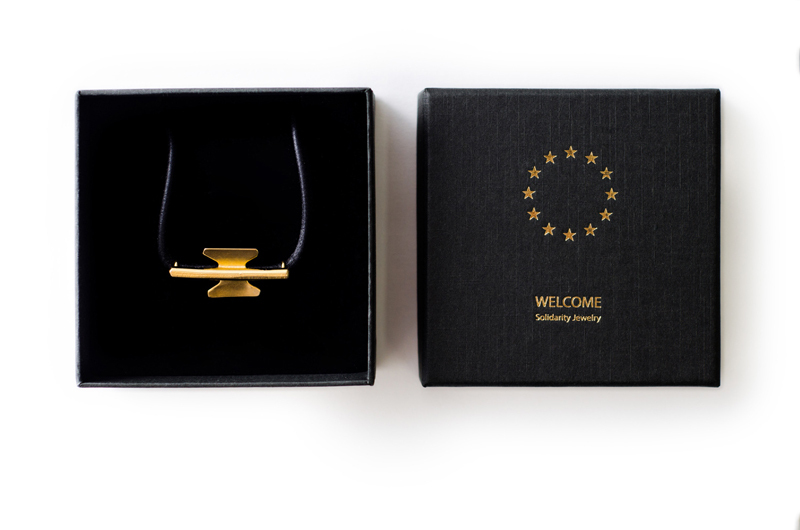 All proceeds of the Welcome simple necklace will be directly donated to the United Nations refugee agency, the UNHCR. The aim of the Welcome initiative is to become global, creating a solidarity movement and a positive trend in speaking about refugees, bringing funds and awareness to the needs of survivors. See Pictures of the creation process. See Video of the creation process.